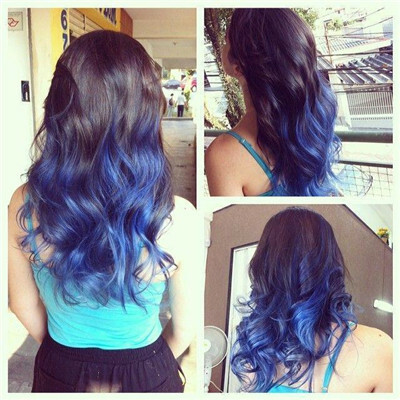 How to Color Your Hair Yourself? This is an interesting question. Why color your hair? Compared to the body, skin, temperament, the change of the hair is simply the best way to become charming. Of course, it's refreshing to be beautiful, but it can also be frowned upon without a good hairstyle. So, many of girls like to try and change their hair, it is the most popular way which should be both quick and seemingly painless. The change of hairstyle, in addition to straight change roll, the volume changes straight is and change the color, therefore, coloring the hair becomes the subjective demand naturally. On the other hand, Dyeing technology in the development of contemporary science has gradually and master. Today I will share with you how to color your hair weaving, hope you can enjoy it. How to color your hair? The video you can follow. First, let's talking about how to color the hair? Whether your hair's color is a natural or has changed when you select a new hair color, you must be loyal to your primary colors, choose according to your original hair color is tonal. Whether you want to be dyed deep or dye shallow, cannot distance your former color more than two Numbers of color, otherwise would be too exaggerated. If you first dye your hair and use a "warm" color, it's easy to dye your hair to look dull, like sandpaper. So it's much safer to choose the colors that are cool or neutral. Step 1 Make sufficient reserves before dying. Usually a can of hair dye, enough for the middle hair people to use once (that is, hair to the shoulder area).If your hair is particularly long or particularly thick, make sure you have enough reserves before you dye your virgin hair bundles, or you'll be too embarrassed to get half your fuel. 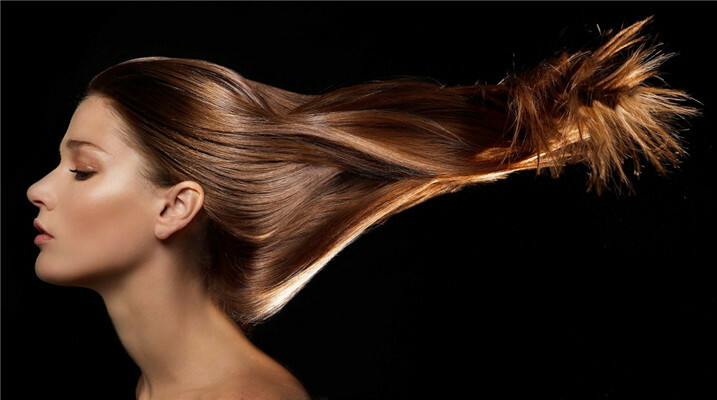 Hair colorings are usually available with a simple and limited use. So to have a better effect, go to the beauty shop to buy a more professional (or at least stronger) tool. For example, dyeing gloves cannot be just a thin layer of transparent plastic. Step 3 Be careful with your hair dye. The most common embarrassment of DIY dying is to make up the hair color and the original hair color is not consistent! Even if you use the same brand with the same color, if the dye is kept from the roots in the waiting process to repeat the color, it will cause the dye to be dyed differently. To prevent accidents, you can ask your friends to help you or find a three-sided mirror to see where the stain is coming from.If you want to make up for the color you have already dyed, use a comb to comb the hair dye to the ends of the hair for 5 minutes before washing, and then wash the hair together for 5 minutes. Step 4 After dyeing, the hair color is always new. The more precious your hair is, the better its color will be. Therefore, after dyeing hair, choose to wash the products with dyed hair, at least once a week. Step 5 Nature covered white hair. If you dye hair is in order to cover a lot of white hair, then choose one in the middle of the white hair color and your days of a number of colors, this color looks more natural, and even if a new long hair should not be too abrupt. Step 6 Be careful of curly hair. 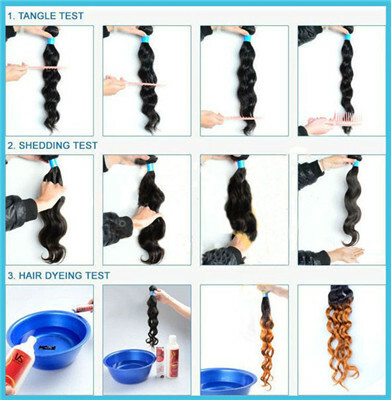 Because curl is dry, natural also easy to absorb hair dye, the color is faster than straight hair, natural more easily damaged.So when you dye your hair or closure, reduce the dye component by 4 points and 1, replace it with distilled water, and mix it up and use it as usual. Step 7 Try more colors. Hair color is actually more like an adornment, so you can choose the color that you do not choose normally, slightly shallow, a little deep, very likely will appear to let you overjoyed the color.If you're afraid of "getting lost," you can choose to spray your hair or dye your hair. Warm up: Please do not wash your hair before the hair dye waiting time. Nest, let us talk about how to choose the hair color. Dark-skinned girls want to use the popular hair color to make them look a little whiter. When choosing a hair color, don't try those colors that are too bright. Maybe it's beautiful, but it doesn't match your dull complexion. For darker skin color dye color selection tips, read this article and check it out. Dark-skinned girls with dark skin, it is best not to choose black, all long straight hair dyed linen texture maroon, so your face will look a lot of white. Many girls will be the long straight hair from the shoulder position down the big wave perm, the whole hairstyle becomes a lot of fashion trends, you can dye all the long hair dark maroon so that girls dull skin color will immediately look bright and translucent. For dark-skinned girls with the dark complexion, the most suitable hair color is maroon, and low-key, inconspicuous maroon can easily conceal the girl's dark complexion.